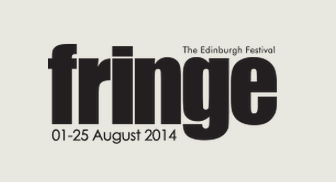 Edinburgh Fringe Festival 2014 acts. Jonny Awsum is set to make his debut at the Edinburgh Fringe this year with his brilliantly exciting musical comedy and stand up extravaganza. This inappropriate fairy tale story-teller is performing his debut show this year. Look forward to a blend of satire, surrealism, character and stand-up comedy. Kevin J started comedy at the young age of 19 and is now debuting at the Fringe. In the past he has performed in big venues such as The O2, and Shepherd’s Bush Empire. He has also been nominated for best newcomer at the Urban Comedy Awards. The co-creator of BBC Radio 4’s museum of curiosity, and QI elf Dan Shreiber, is debuting his first hour long show at the fringe this year. Originally from Hong Kong, Dan now lives in London and is a regular on the comedy circuit. Eddie Pepitone: RIP America, It’s Been Fun. American stand-up comedian Eddie Pepitone is making his triumphant return to Edinburgh this year. Eddie regularly appears in American television shows such as Arrested Development, It’s Always Sunny In Philadelphia, and Flight of the Conchords. Canadian comic John Hastings has won a number of awards in his home country, and after 8 years of performing in Canada he will be coming to the Fringe. John’s stand-up and observations on the UK always attract a crowd (and rightly so). With an array of 4 and 5 star reviews for his previous shows, American-born Will Franken is always loved at the Edinburgh Fringe. He brings, mad-cap characters, lots of energy, and true absurdity to the stage. Four Screws Loose: The Big Screw-Up! Fringe favourites Four Screws Loose return for their fifth exciting year in Edinburgh. You’ll see sketches about the Jeremy Kyle Show and internet addicts, hear musical comedy theatre. Along with high-energy dance breaks and audience interaction. This show has it all. Short & Curly: Who Dunnit? Short & Curly consist of award-winning stand up comedian Paul F taylor and character comedian Rebecca Shorrocks. Together they are performing a comedy murder mystery including slapdash sketches, bad accents and larger than life characters.